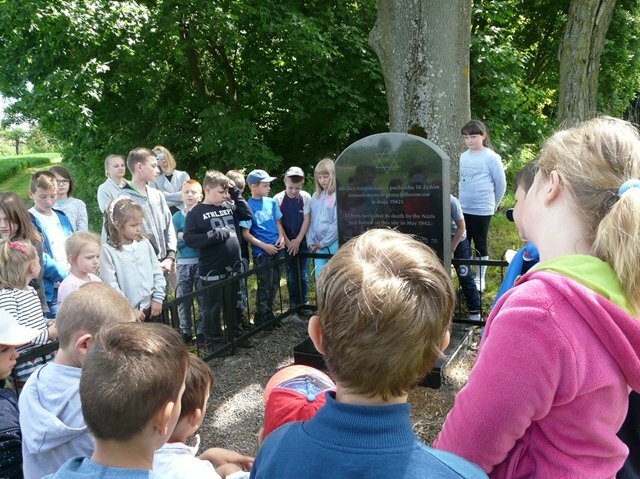 In a school in Strzelce, Zbigniew Niziński delievered a speech and presentation to the students and teachers regarding the work of commemorating the Victims of the war. 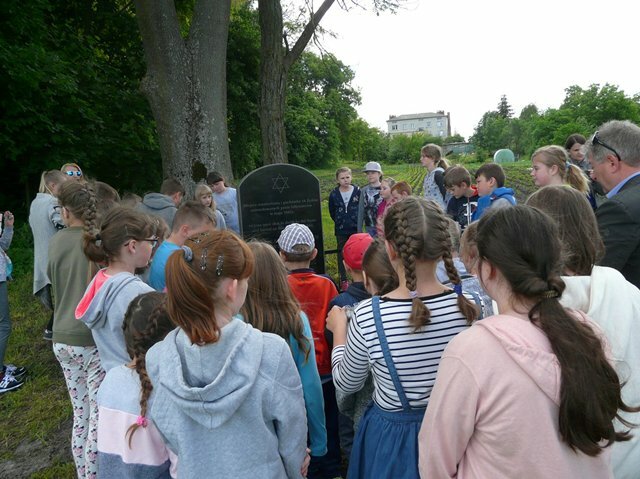 Afterwards, the participants proceeded to the burial place of 14 Jews murdered by the Germans in May 1942, commemorated by the Lasting Memory Foundation in 2009. 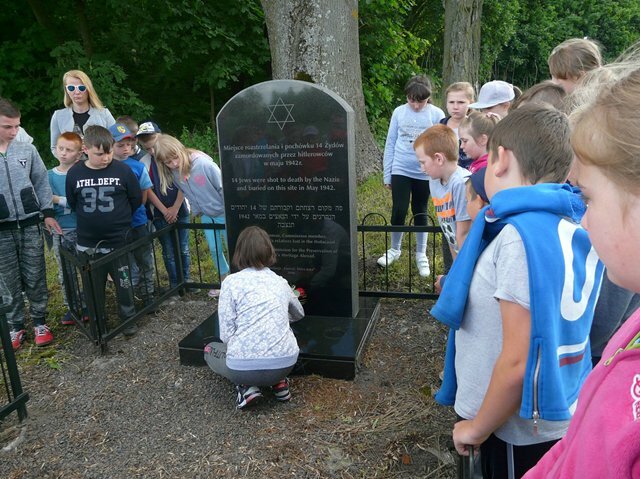 Children laid flowers and lit candles at the Victims’ grave. 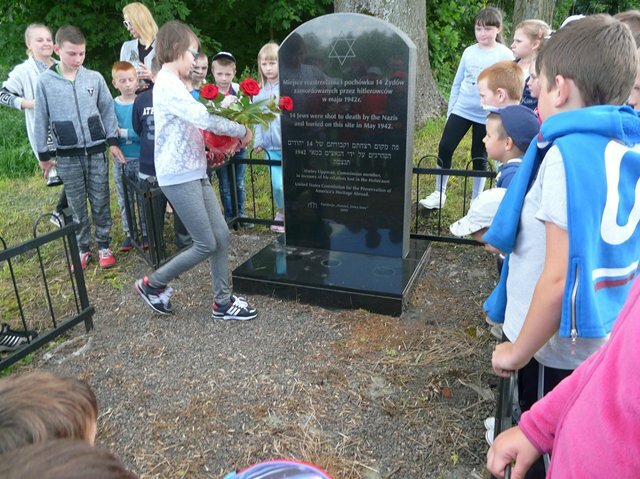 The anniversary of the murder was honored.